Have you ever wondered what the most valuable half dollars are? Are silver half dollars the only ones to look for? It seems like half dollars don’t receive as much attention in the coin collecting world as, say, pennies, quarters, or silver dollars. But that doesn’t mean there aren’t some amazing half dollars out there for coin collectors to enjoy. In fact, some of the most valuable coins that have ever been made are half dollars — especially a few of the really old ones. Of course, these half dollars aren’t the kind you’ll necessarily expect to find in a roll of half dollars from the bank or even in your great-great uncle’s heirloom treasure chest in the attic. So, what are some of the most valuable half dollars from the late 19th century and 20th century — the kinds you’re most likely to stumble upon or have a better chance of affording? This die variety shows a tiny “O” mintmark (for the New Orleans mint) under the eagle on the reverse of the coin. These Micro-O 1892 Barber half dollars are very scarce. Also scarce is the regular 1892-O Barber half dollar. Only 390,000 Barber half dollars were made at the New Orleans mint in 1892, and most no longer survive. The 1921-D half dollar is a key-date coin for the Walking Liberty half dollar series and is a scarce coin, too. Only 208,000 were made, but far fewer exist today. This coin is worth $295 in a grade of Good-4. Like the New Orleans mint Barber half dollars from 1892, the San Francisco mint halves from that year are also very scarce. While 1,029,028 1892-S Barber half dollars were originally made, far fewer are still around, making this coin much scarcer than its mintage figure might suggest. This special John F. Kennedy half dollar was packaged in a set that also contained a commemorative coin honoring JFK’s younger brother, Robert F. Kennedy. Only 62,350 matte finish Kennedy halves were made, and the coin is now a scarce collector’s item. It’s especially a coin that Kennedy half dollar enthusiasts want. The 1897-O Barber half dollar, like so many other mintmarked 19th-century coins, is much scarcer than its same-year Philadelphia counterpart. The New Orleans mint made 632,000 Barber halves in 1897, but few of these coins were saved in collectible condition. The 1893-S half dollar is a semi-key coin for the Barber half series. 740,000 were minted, which is a decent figure, but many of these coins were heavily used — meaning few were ever saved in collectible condition. 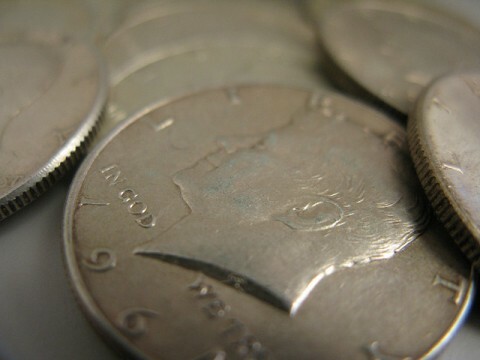 Some coin collectors might be surprised to find out that it’s very difficult to find the necessary coins to a complete the Barber half dollar series in a minimum grade of Good-4. Similar to the 1921-D listed above, production of the 1921 Walking Liberty half dollar at the Philadelphia mint was low, too — that’s due to a recession that hit the United States in the early 1920s. 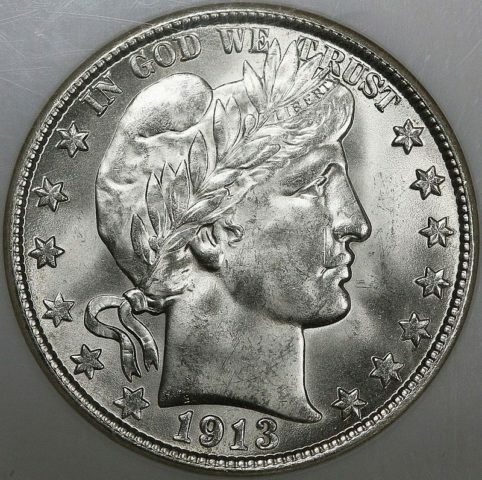 The 1921 Walking Liberty half dollar, which has a low mintage of 246,000, is very hard to find today and is a coin that Walking Liberty enthusiasts really want to get their hands on. Just as the 1897-O Barber half dollar (listed above) is considered a scarce coin, the 1897 San Francisco half dollar is also a difficult coin to locate — even though a whopping 933,900 were made. Again, few mintmarked coins from the 19th century were saved in large numbers, making these coins very scarce today. During the last 3 years of the Barber half dollar series (1913-1915), output of the coin from the Philadelphia mint was relatively small. Of the last 3 Barber half dollar Philadelphia issues, the 1914 half dollar (124,610 were made) is the most valuable in the lower circulated grades. You’ll see the other 2 Philadelphia issues I was talking about a moment ago pop up just a little later on this list of most valuable half dollars. Here’s another S-mintmark Barber half dollar from the late 19th century that’s considerably scarce. The 1896-S was made in fairly large numbers — 1,140,948 were struck — but few exist today even in the lowly grade of Good-4. Here’s the San Francisco issue from the first year of the Walking Liberty half dollars. This coin is worth a pretty penny (see what I did there?) and is a semi-key in the Walking Liberty half dollar series. Here’s another one of those Philadelphia-mint Barber half dollars I was talking about a moment ago. Only 138,450 Barber halves were made in 1915 (that’s a pretty paltry number, really), and they’re worth a lot even in the well-worn grade of Good-4. And here’s the third Philadelphia Barber half dollar that I mentioned above. As you might have guessed, all 3 of the Philly Barber half dollars that I’ve included in this list are considered semi-key coins for the Barber half series and are highly desirable. This is a semi-key coin in the Walking Liberty half dollar series and one that coin collectors need to include in order to complete a collection of Walking Liberty half dollars. 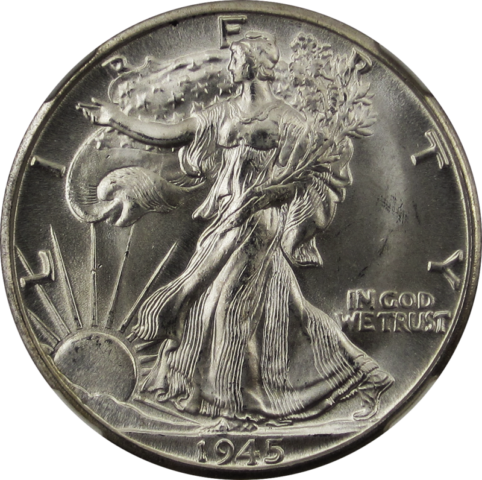 Some coin collectors will buy the 1938-D in better grades, such as Extremely Fine-40, About Uncirculated-5o, and Uncirculated grades. However, specimens of the 1938-D half dollar in those higher grades are much more valuable than the $50 price listed here for a 1938-D in Good-4. The 1904 San Francisco mint is one of the scarcer Barber halves, and while 553,038 were made, far fewer were ever saved. Here’s a Franklin half dollar with a whimsically named die variety. 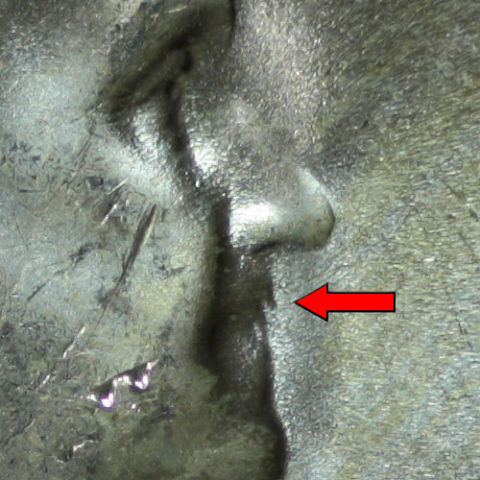 The “Bugs Bunny” Franklin half dollar was created by a die clash that caused damage to Ben Franklin’s mouth, appearing to give him buck teeth. This is probably one of the most popular Franklin half dollar varieties and is one that many half dollar collectors want. A lot of people ask me if their Kennedy half dollars are worth any money. The simple answer is this: if it’s from 1971 or later and is worn, it’s most likely worth only face value. There are a few exceptions to this rule — especially if the coin has an “S” mintmark (meaning it’s a proof coin) or has any die varieties, such as the case with the 1982 no-FG (designer Frank Gasparro’s initials). More or less, 99 out of 100 Kennedy half dollars you’ll find in bank rolls or pocket change are from 1971 on, and they are worth only face value. 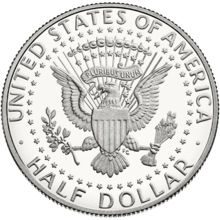 Earlier half dollars are worth more because of their silver content, which is 40% for 1965-1970 half dollars and 90% for all earlier half dollars made during the 20th century. Next up: Most Valuable Dollar Coins – A List Of Eisenhower Dollars, Peace Dollars, Morgan Dollars & Others Worth Holding Onto!